Compact, powerful PCs have been on the cards for some time, but advancements in modern-day components suggest that time has come for mini-ITX builds to soar in popularity, largely at the expense of traditional desktop towers. If Apple is to be believed as an industry trendsetter - it's hard to ignore the impact that the iPod, iPhone and iPad have had - then the upcoming Mac Pro suggests that tomorrow's powerful PCs will be delivered in pint-sized packages. And it's about time, too. Given the efficiency of modern-day CPUs, APUs or even GPUs, most builds can offer top-notch performance while using minimal power and generating little in terms of heat output. 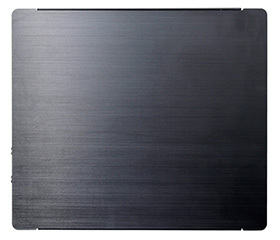 A fourth-generation 35W Intel Core 'Haswell' processor on a compact board with a fast SSD just sounds tempting, doesn't it? And if you need true gaming potential, there's always a low-power AMD APU, or perhaps a mini discrete graphics card. 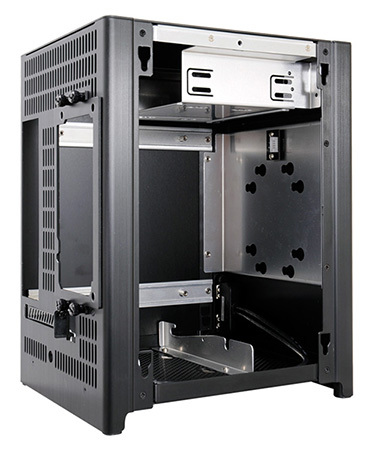 There are plenty of possibilities, so now's the time for chassis manufacturers to step up and deliver compelling mini-ITX solutions. 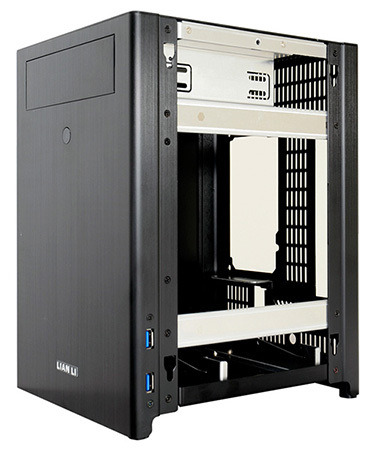 HEXUS will be putting a number of solutions to the test over the course of the coming months, and we're getting started today with the Lian Li PC-Q27. 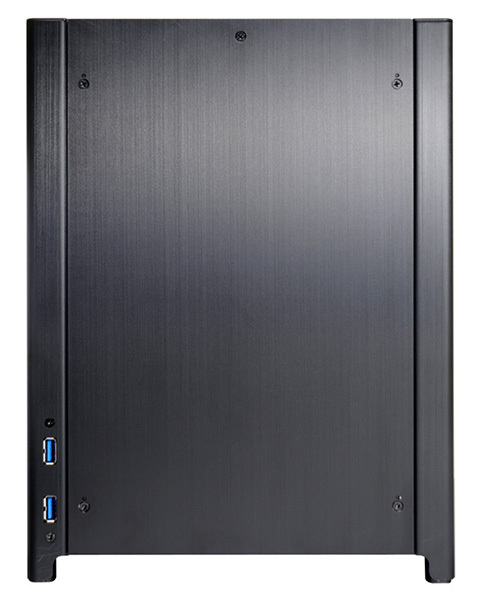 Priced at around $80 (roughly £62 inc. VAT), the PC-Q27 is a smart-looking aluminium chassis that measures just 200mm (W) x 300mm (H) x 240mm (D) and weighs 2.1kg. It's a desktop solution that will happily sit alongside your monitor without stealing too much table-top real estate. Having been designed to live in full view, the PC-Q27 needs to check a couple of crucial tick boxes. The chassis has to be compact, it needs to be smart and attractive, and has to be quiet enough not to intrude. 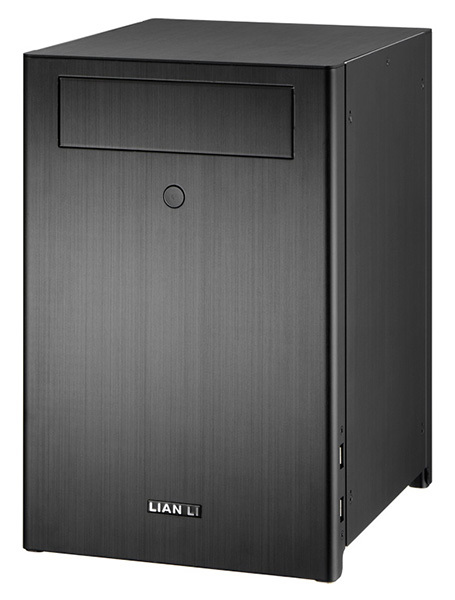 Lian Li's effort is just about small enough to live on top of your desk, we feel, and the all-aluminium enclosure does ooze quality. The PC-Q27 is available in black or silver, but whichever you choose, you're certain to appreciate the brushed-aluminium shell and the precise workmanship. 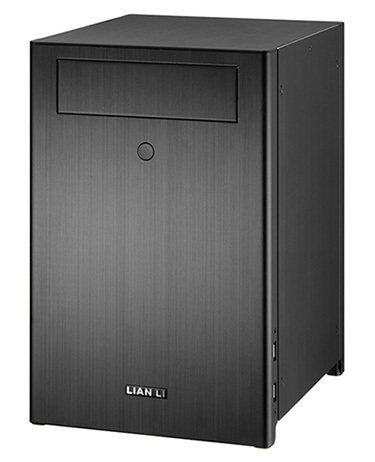 Then there's the noise issue, which Lian Li has tackled in the most obvious of ways; the PC-Q27 ships with no pre-installed fans, so it'll only ever be as loud as you make it. Standing on four rubber feet, the enclosure is raised to allow fresh air to be sourced from underneath. Running this configuration enables the side and top panels to remain uncluttered. 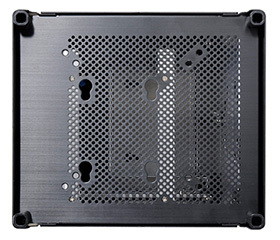 The chassis' front face sports only a 5.25in optical bay and a backlit power button (which changes colour to indicate drive activity), and the I/O options consist of just two SuperSpeed USB 3.0 ports that are tucked neatly into the bottom-right edge. We'd liked to have seen an easily accessible headphone jack, but on the other hand we do appreciate the PC-Q27's sleek and undisturbed exterior. The form factor is subjectively attractive. 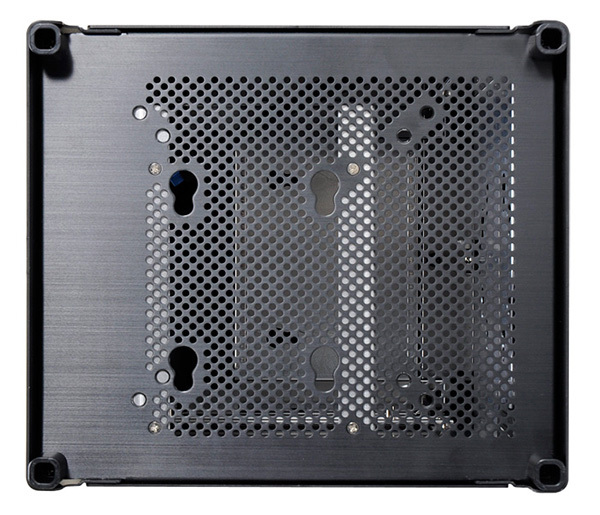 Undoing two small screws allows the aluminium side panels to slide up and out, revealing an interior that attempts to make room for almost everything you'd find in a traditional full-size tower; including a 5.25in optical bay, three storage bays, a mount for a standard ATX power supply and room for a graphics card measuring up to 195mm in length.